A luxury sector giant with products in every sector, Cartier is one of a handful that straddle jewellery and watchmaking with parallel adeptness. Every now and again, Cartier feels that it needs to flex its watchmaking muscle in high complications, to show that it’s not just the Swiss who can do mechanical magic. 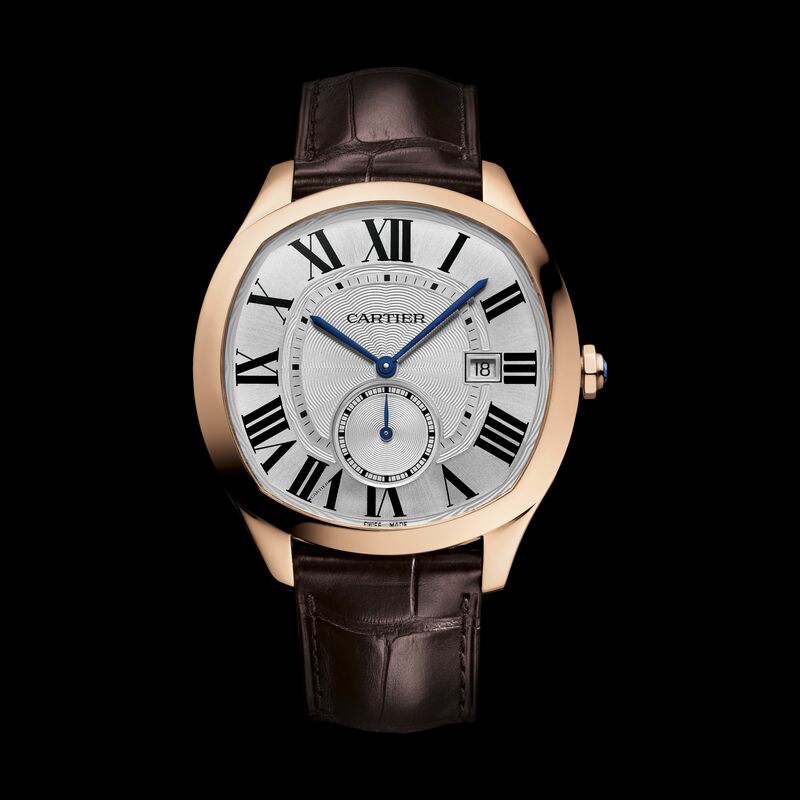 But Cartier’s simpler watches are also quite a class part, demonstrating the firm’s deep understanding of form and elegance. Here, Drive exudes a magnetic aura of power and charisma with its stout form, exquisite guilloche dial that references a motorcar’s radiator grille and crown shaped like a bolt. Eminently masculine. 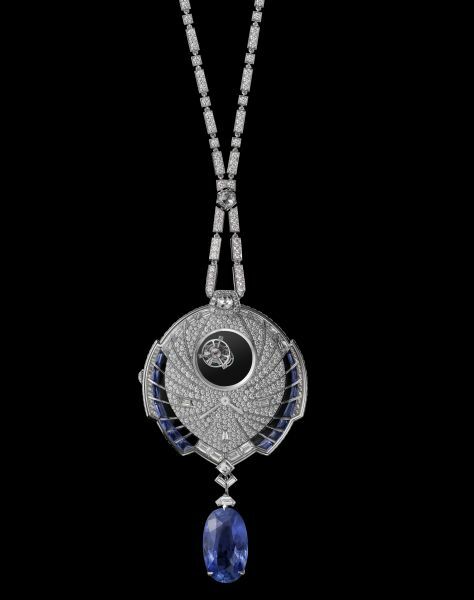 The pendant looks like a bird framing the double tourbillon with its wings; it is also like starring into the eye of a storm, and seeing a tourbillon suspended at the heart of the ethereal stillness. The product of more than 2,000 hours’ work, with diamonds and sapphires, anchored by a 25.93 carat oval sapphire from Sri Lanka.